Crafted in a curved style, this elegant sterling silver Tranquility ring from Chamilia is an eye catching piece, stone set with sparkling clear Swarovski zirconia. 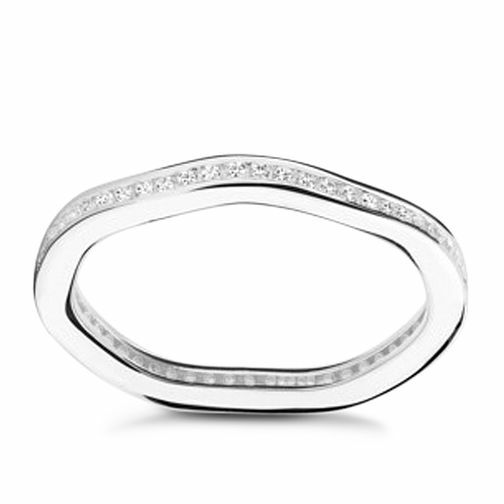 Perfect for stacking, this stylish band beautifully accentuates all ring styles. Inspired by your personal sense of style, Chamilia jewellery is as unique as you are. Size L.